Sunglasses can be cheap and they can be expensive. They can be great or really craptastic facsimiles of the great ones. The glasses you see above are from Persol. They remarkably resemble the pair I wore nearly every day until I unceremoniously and accidentally crushed them while cramming my briefcase into an overhead bin on a United flight to Maui. I too was crushed. I bought these sunglasses in 2008 and they were terrific. The optics were fantastic. Signature arrow-shaped inlays style the temples of lightweight, vintage-inspired sunglasses handmade in Italy. They have real glass lenses. Did I mention how great the optics were? I was so sad. So, today I had to shop around for new ones. I looked at all sorts of brands, EXCEPT for Persol. Apparently the company has abandoned Colorado Springs. We're not rich enough, yet Luxottica sells Maui Jim brand sunglasses here, for more money I might add. At any rate, I decided on a classic pair of Revo sunglasses. I've had Revo eyewear in the past and loved them. I wore them in Iraq and they cut through the bright desert sun particularly well. Having a great pair of sunglasses is an important investment for any serious driver. 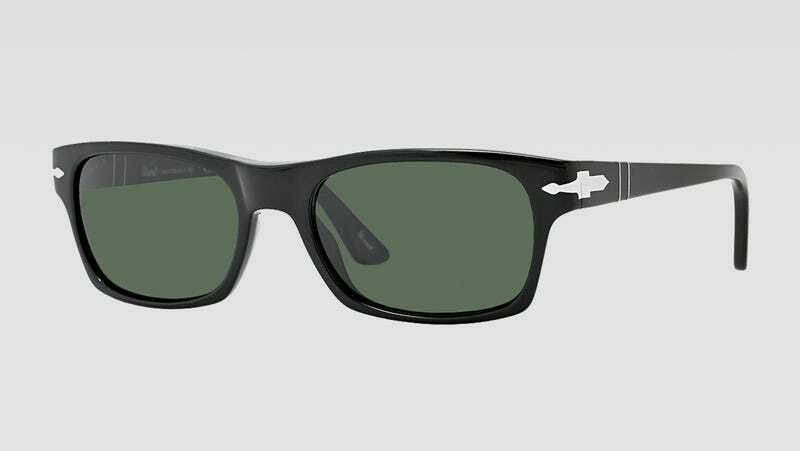 They should be polarized, and I prefer glass lenses over anything plastic or polycarbonate. Perhaps that's a personal choice. What are you wearing?